How numerous the parallels! Both arrived suddenly and unexpectedly on the national scene. Both caught the attention in part because of youth and attractiveness. Each became extremely famous overnight and started driving her political opponents nuts. Each comes from an area of the country that is seen as something of a punchline to political opponents. And each proved embarrassingly gaffe-prone in interviews, causing opponents to question her basic competence and knowledge while on her side of the aisle supporters continued vigorously to defend her. We have Stephen Daisley of The Spectator USA to thank for this brilliant comparison. He notes that the Left seems a bit slow to realize just how slow their new dream girl is. 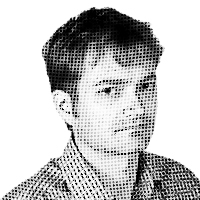 “Love means never having to say, ‘You’re an idiot,'” writes Daisley. “No, I know it’s not a nice thing to say but . . . lots of not-nice things are still true.” Ocasio-Cortez said the three branches of government are the White House, the Senate and the House of Representatives. She said the Defense Department budget rose by $700 billion, “which they didn’t even ask for.” The figure was off by $639 billion, and the Pentagon did ask for it. She said the unemployment rate was low because people were working multiple jobs, that the Pentagon has made $21 trillion in accounting errors (more than it has spent in its entire history) which could be spent on universal health care. She’s a “basic Bolshevik,” concludes Daisley, which is another dead-on description. Ocasio-Cortez has most recently taken a bit of flak for suggesting a marginal income tax rate of 70 percent on the very wealthiest Americans. This is ridiculous for all sorts of reasons, but the Left’s media allies still haven’t caught on that their Ocasio-Cortez fixation is going to backfire on them. The more Ocasio-Cortez gets identified as the voice of the future Democratic party, the better things look for conservatives. Keep talking, AOC. Keep talking.